Moving on, let’s talk about other features of Rise of Azshara. 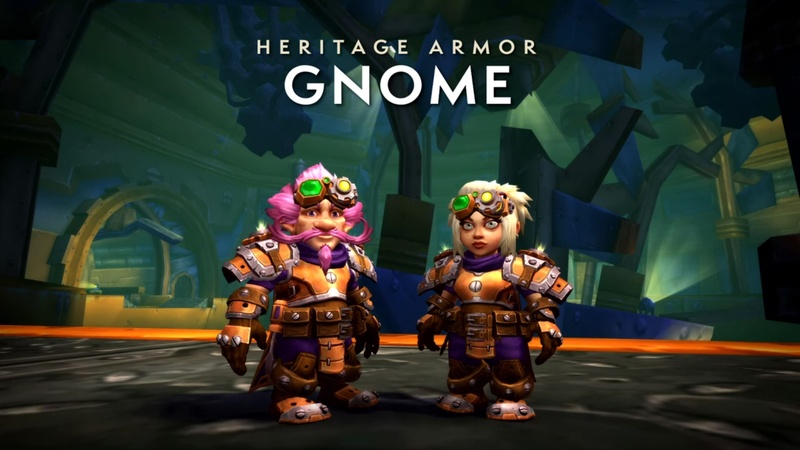 So, you will get to go on a very gnomish questline that goes into the history of the remaining family of Mekgineer Thermaplugg in order to unlock the Gnome Heritage Armor. There is the final shot of the armor. Lots of awesome nuts, bolts, and lights; and a very cool pair of googles. Perfect to taking into Mechagon. 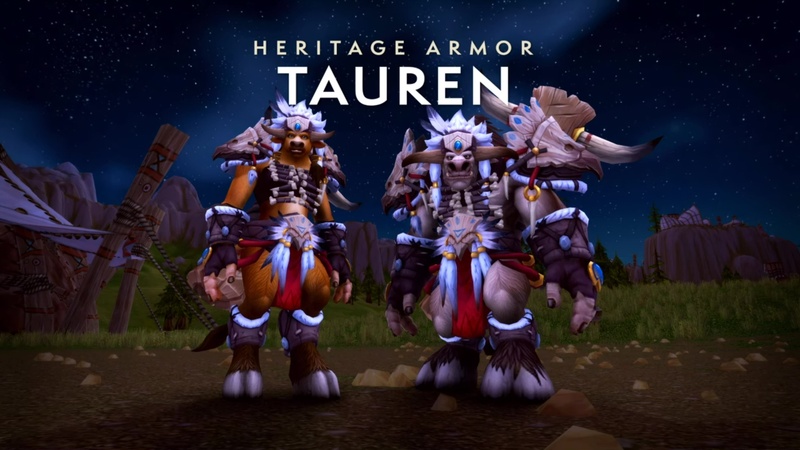 For the Horde, the Tauren get this very-Thunder Bluff, very-Mulgore feeling Heritage Armor set with totems, and feathers. Lots of awesome pieces here. The tauren will be going on a spirit journey with the Spirit Walkers in Mulgore and Thunder Bluff to figure out what’s going on, why are the spirits restless? Why now, and why in Mulgore? Now my tauren friends, unfortunately, we are going to have to solve one tiny loose end before you can go on your Heritage Armor questline… and that is: The War Campaign.